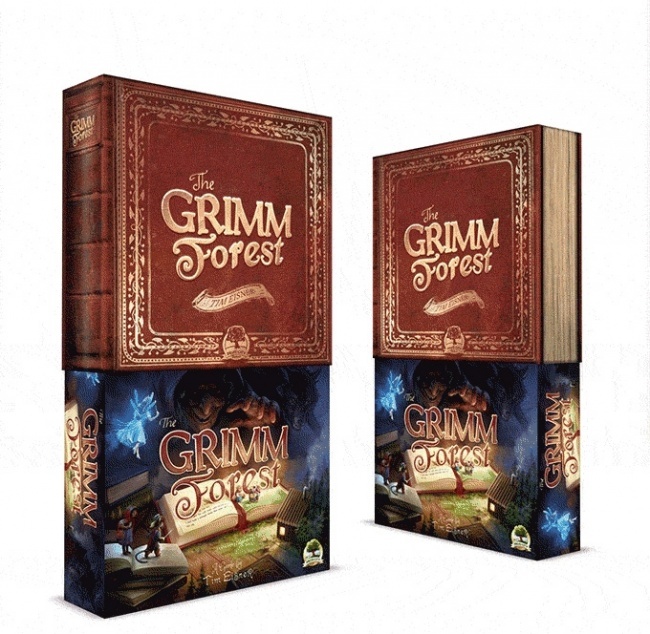 Fairy tale characters and themes abound in Druid City Games house-building game The Grimm Forest, expected to release in December. As the nieces and nephews of the famous three Little Pigs of Grimm Brothers’ fame, players race to be the first to construct three houses, one of straw, one of wood, and one of brick. Players must try to outguess their rivals to gather the resources they need, while using Fable Cards to gather more or thwart the other players. At various times during the game, other famous fairy tale characters emerge from the forest to help or hinder the players. 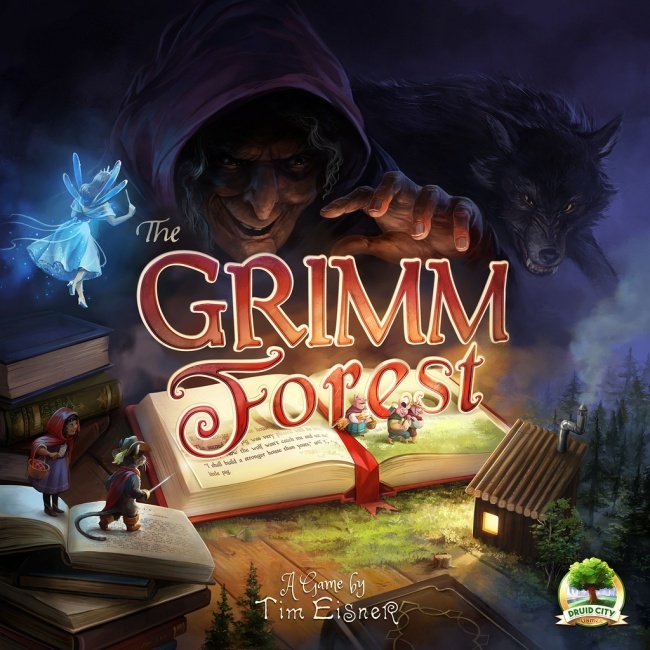 The Grimm Forest was designed by Tim Eisner (March of the Ants). It includes 4 location boards, 4 player boards, 45 3d plastic house pieces, 5 plastic minis, 45 resource tokens, and 44 cards. 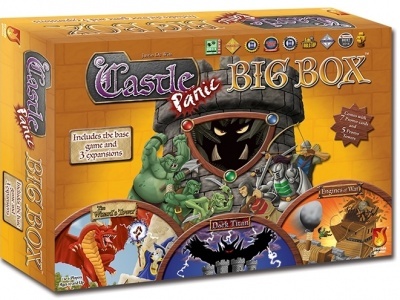 The game is designed for 2 to 4 players, ages 13 and up, and plays in under an hour. MSRP is $49.00. 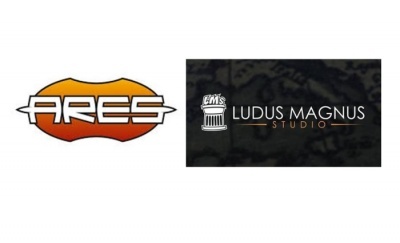 Druid City is funding the project through a Kickstarter campaign which broke its $35,000 goal in less than three hours and has gathered over $300,000 from more than 6,000 backers as it heads into its last day. The campaign has a retailer-only backer option for brick-and-mortar stores. 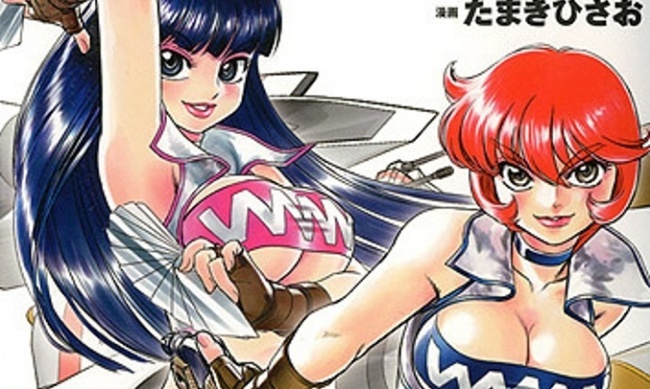 Retailer backers will receive their copies of the game along with the Kickstarter backers, which is scheduled for December. 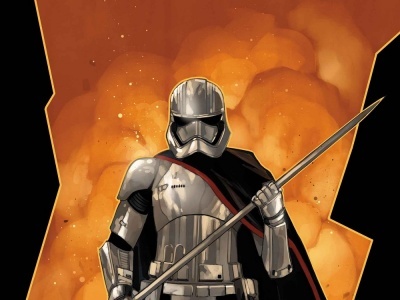 Druid City told ICv2 that the trade release will follow backer fulfillment. 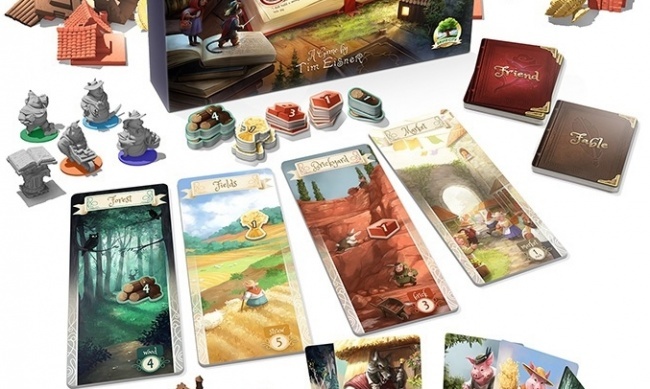 The only difference between the Kickstarter version and the general release will be a decorative cardboard sleeve that makes the game box look like a bound book.